I honestly don’t know what to tell you, dear readers, other than: STUPID EAGLES! Philadelphia had no right whatsoever losing at home in a must-win game against a terrible Arizona team traveling cross-country and starting some guy named John Skelton at quarterback. Now, I will admit I did a double-take when the Eagles suspended No. 1 WR DeSean Jackson for missing a team meeting. But I still thought the Iggles would handle the Cards. But this is the NFL and injuries happen: Philly’s other top receiver, Jeremy Maclin, was knocked out of the game for a while and apparently Michael Vick played with broken ribs. So the Cards pulled probably the second-biggest upset of the season (the other being then-winless Rams over Saints). Thankfully in my survivor pool, the remaining nine players all went with teams that lost last week: One took San Diego at home vs. Oakland, two took Baltimore at Seattle and the rest took Philly – by the way, I warned you against taking the Ravens in that one, so that’s a tiny bit of solace. But because we all went out at the same time and didn’t want to split the pot nine ways, we are continuing forward. Perhaps you are doing the same or maybe you didn’t listen to me last week and chose not to go with the vastly overrated Eagles. Either way, I will continue providing you NFL survivor pool picks through the end of the regular season. So for this season, I have used: Green Bay, Pittsburgh, New England, San Diego, New Orleans, NY Jets, Dallas, Baltimore, Houston and Philadelphia. On to Week 11, the final bye week. 49ers vs. Cardinals: It’s looking like it will be Skelton again this week for Arizona with Kevin Kolb still hurting – Kolb may have lost his job anyways with Skelton leading the Cards to back-to-back wins. I’m not going to lie, this game gives me pause because it seems like a big-time letdown possibility for San Francisco after a big win last week over the Giants all but assured the Niners of the No. 2 seed in the NFC. If this were in Arizona, I would stay away. But with the Cards stunning the Eagles last week, that will have gotten the Niners’ attention and they won’t look past this one. Lions vs. Panthers: Detroit has been slammed back to earth, having lost three of four. And what’s most concerning is that the Lions were crushed last week by Chicago despite the fact the Lions were coming off the bye and the Bears a short week. Detroit really misses RB Jahvid Best, but he won’t be back yet. Still, the Lions are back home and know this is vital for a wild-card spot. Packers vs. Bucs: Tampa Bay clearly over-estimated its talent after last season’s rather lucky 10-6 finish. The Bucs enter on a three-game losing streak and each loss has been worse than the previous one. I actually think they stand up and play well here, but they won’t be winning in Lambeau. Falcons vs. Titans: Atlanta now is in some trouble for the playoffs after coach Mike Smith inexplicably went for it on fourth-and-one in overtime on the Falcons’ own 29 last week vs. New Orleans. I see no way that Atlanta loses back-to-back games at home, however. But Chris Johnson can also win a game by himself. Patriots vs. Chiefs: I am sure you have used New England by now, but this would appear to be the lock of the week with Kansas City having to start Tyler Palko at quarterback due to Matt Cassel’s likely season-ending injury. Of course, I thought the Eagles were the lock of the week last week. But the Pats don’t usually lay an egg. Browns vs. Jaguars: Will these two teams combine for 20 points total? We could be looking at a second Browns game this year that didn’t include a touchdown for either team (it almost happened last week vs. Rams). Don’t know who wins this one, but don’t care. Dolphins vs. Bills: How far has Buffalo fallen of late? The Bills are one-point dogs against at a team that has won one of its past eight home games – albeit that Dolphins win did come last week against the wretched Redskins and they have now won two straight overall. Buffalo was exposed as a fraud in last week’s 44-7 loss to Dallas. But it wouldn’t surprise me if either team won here. Raiders at Vikings: You might be tempted to take Oakland here considering the Vikings are playing out the string and enter on a short week after being embarrassed on Monday night in Green Bay. But it looks like Darren McFadden may sit out again for Oakland, and I’m not touching the Raiders until he’s back. Ravens vs. Bengals: I think Cincinnati was a bit exposed last week vs. Pittsburgh, and things get no easier for rookie QB Andy Dalton this week. I expect the Ravens to win, but they are too inconsistent (see last week) to choose in a somewhat even game. Plus, I already used them. Bears vs. Chargers: This would be typical Chargers in that they will finally go on their late-season surge. But they are battered and the Bears are rolling. Look for Bolts QB Philip Rivers to have a big game as he loathes Chicago QB Jay Cutler from their AFC West days. Jets at Broncos (Thursday): I am in the camp that doesn’t think the Broncos can continue winning while running what is essentially the veer option that is only supposed to work in the SEC and not the NFL. Two completions last week by Tim Tebow and the Broncos still won? You are kidding me! Still, it’s never easy to play in the altitude of Denver and the Jets have the shortest week possible, having not finished their loss to New England until around midnight on Sunday. Cowboys at Redskins: This would be typical Dallas – play its best game of the season followed by an inexplicable loss to a crappy team. I’d actually like Dallas’ chances better if John Beck were the Skins’ starting QB, but it’s Rex Grossman and he’s always capable of a big game (but probably more capable of a bad one). But this is a heated rivalry game and the Cowboys have just one road win. The Redskins have lost five in a row and have totaled 20 points in the past three games, but I smell an upset here – I would definitely take the nine points at a minimum. Giants vs. Eagles: I still say the Eagles have as much talent as anyone, and now they REALLY have to win out to get into the playoffs. So they should come with everything they have. Maybe getting out of town will actually help the Eagles, although they may not have Vick in this one. But, remember, the Giants have a history of going in the tank this time of year and they are likely without Ahmad Bradshaw again. New York has played some bad games at home (Seahawks, Dolphins). And The Pick Is …. I was tempted to go with the Lions because I doubt I get another chance to use them. But I don’t believe in looking ahead and I think Carolina has a better chance of winning in Detroit than Arizona does in San Francisco. 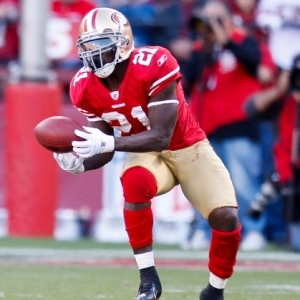 So the pick is the Niners – but I am switching off San Francisco if Frank Gore is out (he’s expected to play, however). Indian Cowboy has been dominating the football bookies and his college and NFL picks have helped clients to eight of nine winning football weeks. His NFL handicapping has uncovered another gem this weekend. A one-week package is only $99 – Click Here for more details. Also check his page daily for free NFL picks on his daily Youtube video.